I was going to do a proper blog post but then I realised I haven't watched the latest episode of Nashville yet, and that is clearly a priority. So instead I will post a bunch of photos of the Highlands that I took over the Christmas holiday and send you big hugs. Because hugs are like words, but better, because they're less work. 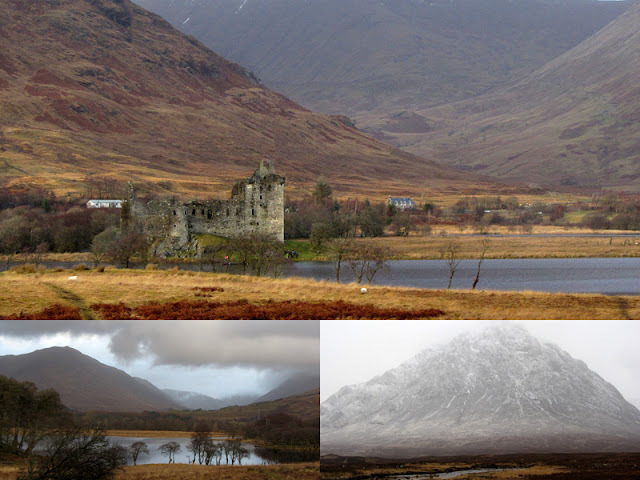 Did you know you can cover Glencoe, the Highlands, Loch Ness, and Loch Fyne in two days? You can. And you should. Just not in the dead of winter. Brutal. It's hard to see, but there's a train bridge in the distance background of bottom left picture. It's the one from the Harry Potter movies! You can actually hike to it, but it was torrentially raining when I took this photo and the wind was so fierce I could barely stand upright, so I decided that this view was good enough for me. 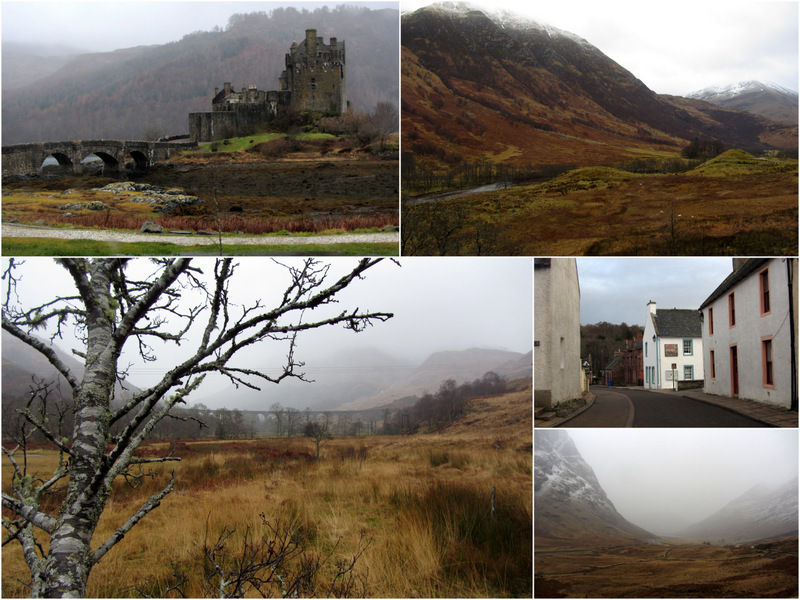 The castle in the top left photo is Eilean Donan where Entrapment and a million other movies were filmed. (I should probably be relating these places to moments in history - 'This is where the Young Pretender made his first stand in 1745!' - but I don't know history the way I know movies so I'll just go ahead and continue to embarrass myself this way.) 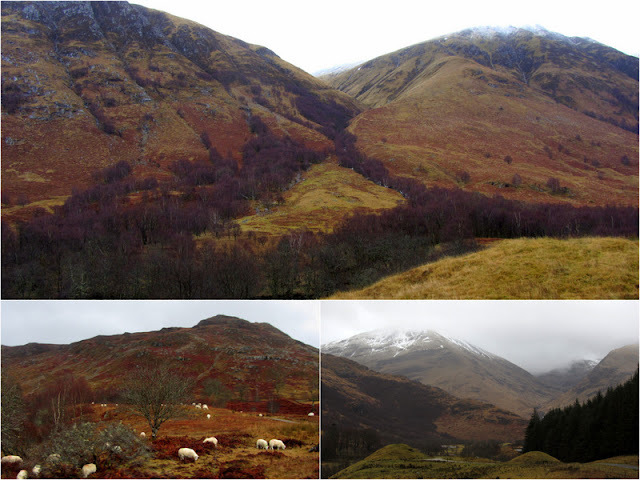 Bottom right: Glencoe from Skyfall! Some sort of brutal massacre happened here. You should google it because it's dark and bloody and violent like all good history stories, and also because I don't remember the details. The earth was so dark red and purple and orange it was unbelievable, really wild. Braveheart was probably filmed here, because obviously. 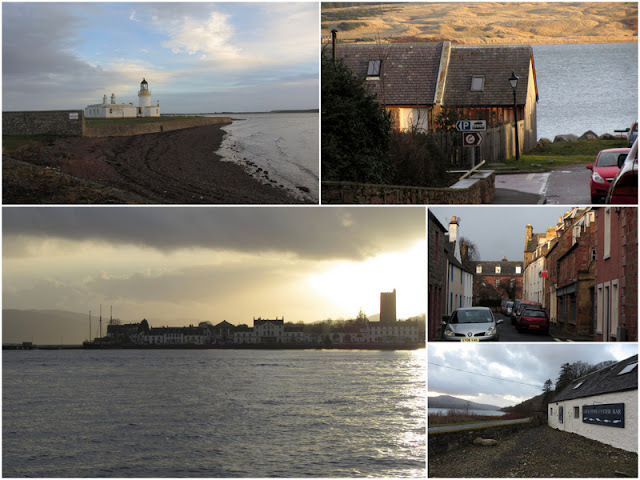 And so concludes my history of northern Scotland! Stay tuned, I'll be covering Yorkshire soon! P.S. I'm currently playing with blogger's dynamic layouts and so far I think I like this one the best, but are my pictures too large? Are they taking years to load on your screen? p.s. did you go on your own? ha! That's exactly how I feel! But sometimes my internet is sloooow so I worried if it was taking me ten seconds to load the page, it might take other people too long, too! This is an excellent layout. And only you Sharona could make such gloomy and dramatic scenery so hilarious and bubbly! I LOVE THEE!